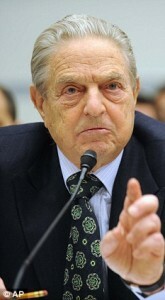 Given the fact the George Soros’s NGOs have actively encouraged the influx of migrants into Europe makes his suggestion that the EU should “compensate” Italy extremely cynical. In essence he’s calling for European Union taxpayers to compensate Italy for a problem he was instrumental in creating. The Guardian however, pointedly ignores this. Instead it quotes the Hungarian born billionaire extensively, effectively providing him with a mouthpiece to promote his own agenda. In effect a combination of billionaires, their own NGOs, un-elected EU officials and think tanks are working to reshape Europe at its most fundamental level, its citizens. If anyone were to compensate Italy over migration it should be George Soros himself. Ed. As interior minister of Italy’s new populist government, sworn in on Friday, made up of ministers from the League and the anti-establishment Five Star Movement (M5S), Salvini has pledged to “send home” around 500,000 undocumented immigrants. 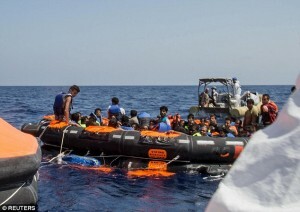 Riccardo Gatti, head of the Open Arms rescue mission, predicted its work would become more difficult. “Salvini will not simply make worse the future of the people who save lives at sea, but the living conditions of the migrants,” he said. “Since I’ve started working at sea, dealing with rescue operations, I have seen how our work is becoming harder and harder. Writing in Italy’s Corriere della Sera newspaper, Soros said that the strong showing of the League, Italy’s largest right-wing party, could partly be attributed to “Europe’s flawed migration policies that imposed an unfair burden on Italy”. “Until recently, most refugees could move on to northern Europe, where they wanted to go,” he wrote. “But since September 2015, both France and Austria closed their borders and the rescued migrants were stuck in Italy. This situation was not only unfair but also financially very burdensome at a time when Italy was economically lagging behind most other European countries. That was the main reason why Lega Nord, in particular, did so well in the recent elections. The controversial Dublin rule requires that would-be refugees must file for asylum in the first bloc member-state they enter, heavily penalising Italy, which has seen 700,000 migrants arrive – the vast majority from north Africa – since 2013. The introduction of EU-backed processing centres to ensure migrants are identified at their first European entry point and tighter border controls installed by France, Switzerland and Austria have compounded the problem. Salvini will be in Luxembourg on Tuesday for a meeting of EU interior ministers with the agenda set to be dominated by discussion about the Dublin rule. The Hungarian-born hedge fund owner’s generous backing for charities helping migrants, and support for the EU’s resettlement plan during Europe’s 2015 refugee crisis, brought him into direct conflict with ultra-conservative, rightwing governments.